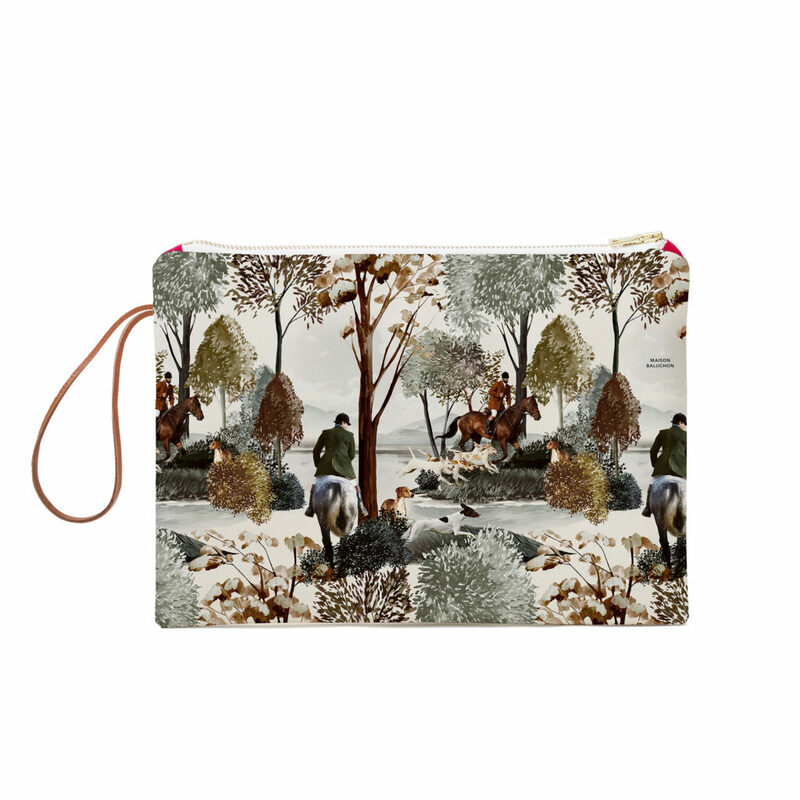 A large clutch ideal for carrying your everyday belongings while rotecting them thanks to its fleece padding. 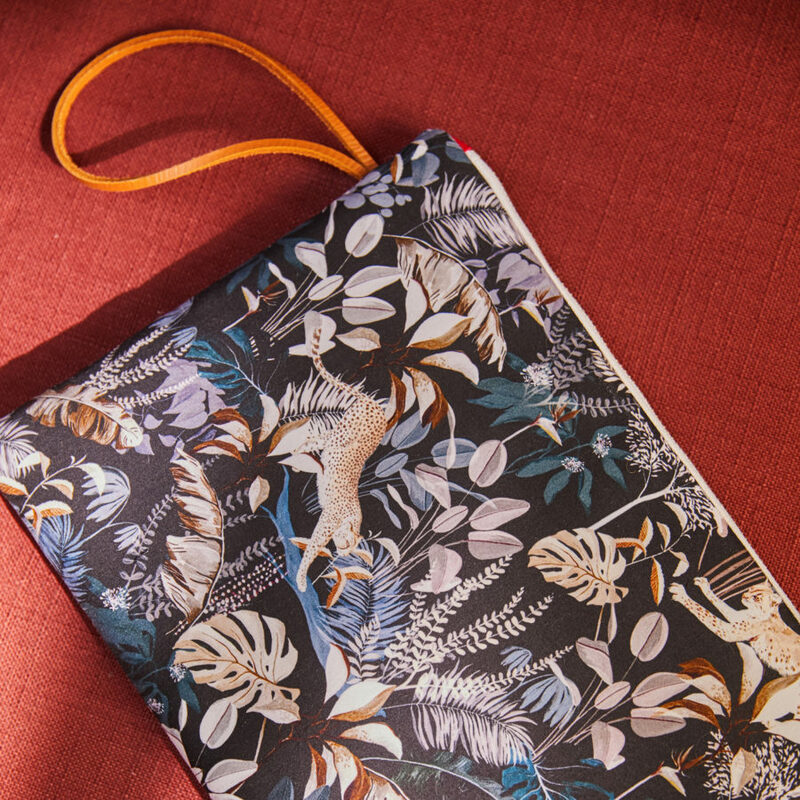 Slip it into your handbag and carry all your documents & accessories! 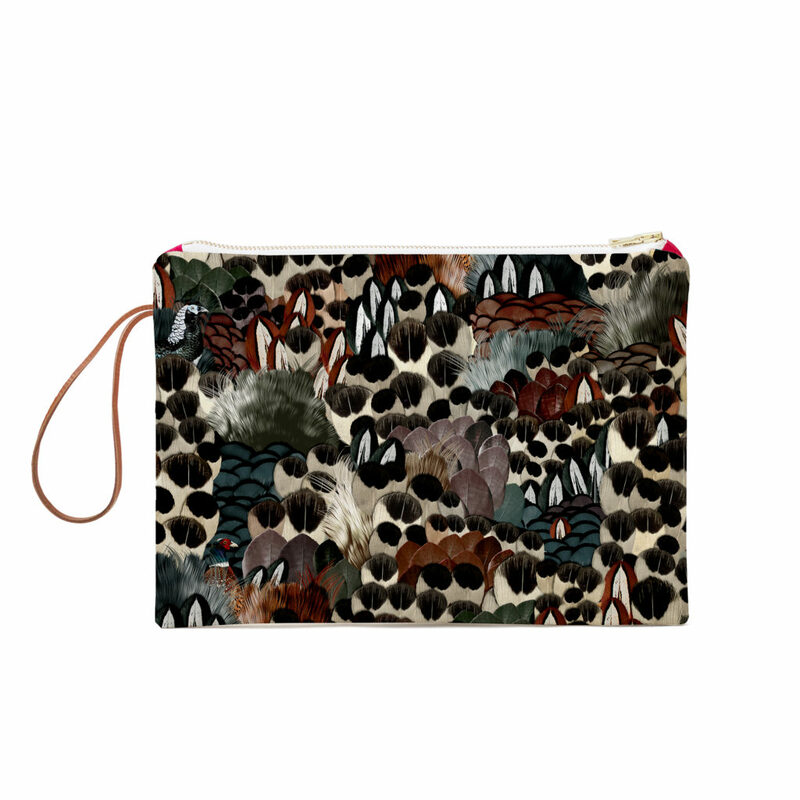 Categories: Large clutch, Zipper clutches, Ménagerie 01, Our collaborations. These general conditions of sale govern the relationship between, on the one hand, BIEN VU, with a capital of €1,000, registered at the RCS of Paris under number 492 114 152, owner of the website www.maisonbaluchon.fr, whose registered office is located at 65 rue Victoire de la Marne – 52000 Chaumont (France) hereinafter referred to as “MAISON BALUCHON” and, on the other hand, the person who makes a purchase from a distance via the website of MAISON BALUCHON https://www.maisonbaluchon.fr, hereinafter referred to as “the Customer”. The Parties agree that orders placed with MAISON BALUCHON via Internet are governed exclusively by these Terms and Conditions, excluding any other condition that would be available on the website https://www.maisonbaluchon.fr. The website www.maisonbaluchon.fr was designed by MAISON BALUCHON, which is the owner and holder of all the related rights. Except with the prior written consent of MAISON BALUCHON, it is forbidden to copy, download all or part of the Site or its content. The products proposed on the website are described in the product sheets including for some a picture, and indicating their name, colour and characteristics. Photographs and images illustrating the website and product descriptions do not fall within the scope of the contract. The photos and images of the site are not contractual; in no case the responsibility of the retailer can be engaged. 1.1 – The prices of the products are indicated in euros, include all taxes, exclude the shipping costs. Amounts expressed in other currencies are provided for information purposes only. 1.2 – All orders, regardless of their origin, are payable in Euros. 1.3 – MAISON BALUCHON reserves the right to change its prices at any time. The products will be invoiced by MAISON BALUCHON on the basis of the rates in force at the time of confirmation of the order, as provided for in article 3-2 of these Terms and Conditions. 2.1 – The Customer declares that he/she has read and accepted these Terms and Conditions before placing the order. 2.2 – The order must be placed on the website: https://www.maisonbaluchon.fr. 2.3 – The Parties acknowledge that the products presented on the website https://www.maisonbaluchon.fr may no longer be available or available for sale at the time of ordering. 2.4 – When imputing data in the “My Shopping Cart” section, the Customer must ensure the accuracy and completeness of the mandatory data he/she provides. Any subsequent changes should be mentioned as soon as possible. 2.5 – Only persons legally capable to sign contracts for the goods and services offered on the website can order from https://www.maisonbaluchon.fr. 2.6 – MAISON BALUCHON reserves the right to suspend or close the account of a customer who contravenes the provisions of the Terms and Conditions. Anyone whose account has been suspended or closed may not order again on the website https://www.maisonbaluchon.fr without the prior authorisation of MAISON BALUCHON SARL. 3.1 – The order is deemed to be accepted by MAISON BALUCHON as long as the payment has arrived at MAISON BALUCHON within a maximum of 8 days after the order. MAISON BALUCHON will then confirm the acceptance of the order to the user, choosing one of the following means: e-mail (summarising the order: products, price, quantity, etc. ), telephone, or mail. This confirmation, or if applicable, the refusal of acceptance of an order, will be confirmed to the user at the latest 48 working hours after receipt of an order and its payment (except in certain cases indicated on the website). 3.2 – The sales contract of the product will be concluded when the Customer, after having had the opportunity to check the details of his/her order and its total price, as well as to correct any errors, confirm this to MAISON BALUCHON to express its final acceptance. 3.3 – Any order confirmed by the Customer is the conclusion of the sales contract and consequential acceptance of the prices, description, quantity of the products available for sale and the clauses contained in these Terms and Conditions. 3.4 – The data recorded and retained by MAISON BALUCHON constitute proof of all transactions between MAISON BALUCHON and its customers. 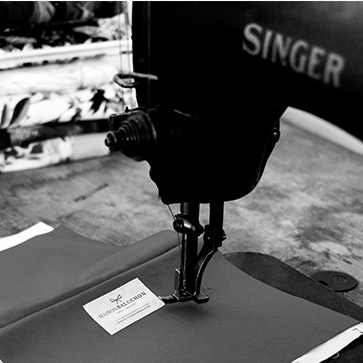 4.1 – MAISON BALUCHON strives to keep the website up to date according to the stocks of fabrics. However, stock-outs are possible. In this case, MAISON BALUCHON undertakes to offer a fabric of equivalent or superior quality. 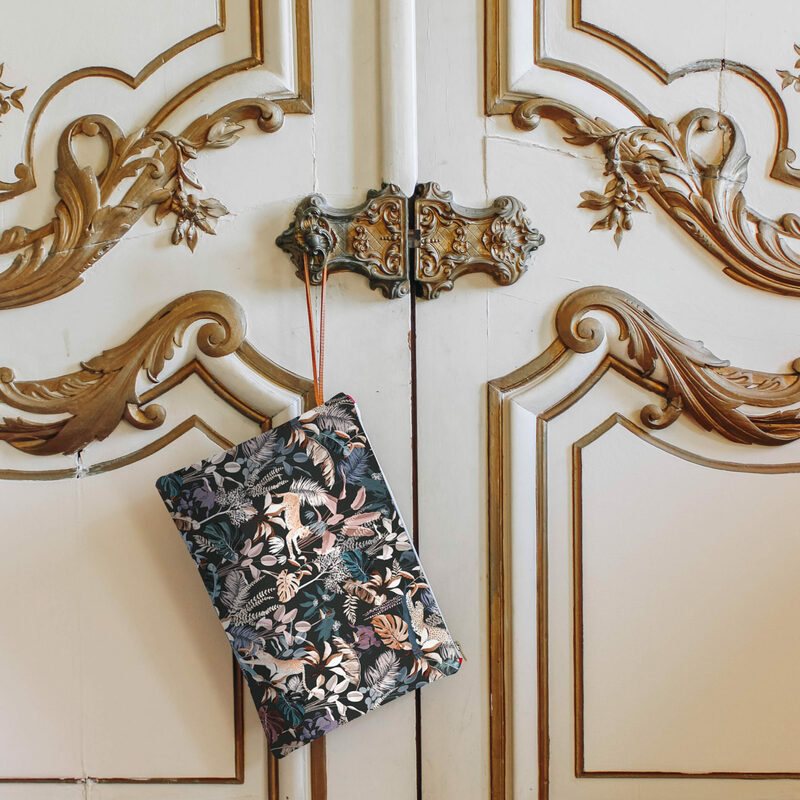 4.2 – If the fabric is not available after confirmation of the order (article 3), MAISON BALUCHON will inform the Customer by e-mail or mail as soon as possible. The Customer will not be able to obtain any compensation or compensation other than the simple reimbursement or replacement of the product if it has actually been paid. 4.3 – In case of repayment, this will be done at the choice of BALUCHON HOUSE by credit on the customer’s bank account or by cheque at the latest within fifteen days as of the payment made by the Customer. 5.1 – MAISON BALUCHON strives to ensure its deliveries within 10 to 15 working days for France from receipt of the order and payment (consult all prices and delivery times). The times indicated are the usual average times and correspond to the processing and delivery times. 5.2 – MAISON BALUCHON undertakes to inform the Customer of any foreseeable delay in delivery. 5.3 – Shipping times indicated on the website are for information only. The shipping time being the date on which MAISON BALUCHON delivers the package to the carrier. MAISON BALUCHON undertakes to deliver the product within 15 days as of the ordering. In case of unavailability of the goods ordered, MAISON BALUCHON informs the customer by any means. In this case, the customer may request reimbursement of the sums paid if the merchant is unable to provide the customer with a product, a price of a quality equivalent to that of the order. MAISON BALUCHON undertakes to reimburse the customer within 30 days as of the receipt of the request. 5.4 – The deadlines provided by MAISON BALUCHON to the Customer vary according to the country. These are indicated for information on the website https://www.maisonbaluchon.fr. MAISON BALUCHON cannot be responsible for any exceeding of the indicative deadlines when confirming the order. However, article L114-1 of the code of consumption allows the customer to cancel his/her order if the delivery time is exceeded by 7 days. He must do so by registered letter with acknowledgement of receipt. 5.5 – MAISON BALUCHON will not be liable under any circumstances for a delay in delivery due to the absence of the customer during the delivery of his order or incorrect information on his part to MAISON BALUCHON. The products are delivered to the address indicated when ordering the products. 5.6 – In the event of the absence of the addressee or a person who may take possession of the Products upon delivery, the carrier shall file a transit notice at the delivery address indicated by the Customer inviting the Customer to withdraw the Products. 5.7 – Ownership of the goods and the associated risks shall be transferred to the customer upon taking possession of the goods. 5.8 – The Customer may issue reservations regarding the delivery of the Products only in the event of delivery that does not comply quantitatively with the order. 5.9 – Any reservations must be notified to the carrier when the product is delivered. A copy of the reservations must be sent to MAISON BALUCHON (by e-mail or fax) no later than 12 hours after these reservations have been made. It is the Customer’s responsibility to provide the carrier’s confirmation of the reality of these reservations with this shipment to MAISON BALUCHON. 5.10 – In the event of product non-compliance with the order, the Customer must send MAISON BALUCHON a protest letter or email. MAISON BALUCHON will, as appropriate, exchange or retouch the product or products. The request must be made within seven (7) business days as of the delivery of the products. Any complaint made outside this time limit may not be accepted. The products must be returned to MAISON BALUCHON in the state in which the Customer received them. Shipping costs will be borne by the Customer. 5.11 – The Customer undertakes to pay or have paid the customs duties, VAT or other taxes due on the importation of the Products into the country of the place of delivery. 6.1.1 – The Customer can pay online by credit card through the secure payment module. The card number and expiry date are encrypted and transmitted to the specialised company CAISSE D’EPARGNE and in a secure manner (SSL) without MAISON BALUCHON or third parties being able to access it. This same information will be reused only in case of possible returns, in order to make the corresponding refunds. 6.1.2 – The order amount is debited to the Customer’s account at the time of payment validation. 6.1.3 – The data recorded and retained by MAISON BALUCHON constitute proof of the order and of all transactions made. The data recorded by the payment system constitute proof of financial transactions. 6.1.4 – Invoices are sent by email from the website of MAISON BALUCHON. 6.2.1 – The banking details for the transfer are indicated on the payment page of the website. Any costs shall be borne by the Customer. 6.2.2 – The order, subject to availability, will be sent to the Customer upon receipt of payment by MAISON BALUCHON. Consequently, the delivery periods applicable in this case are those on the day of receipt of the payment and can therefore be modified compared to those mentioned on the day when the order was placed. 6.2.3 – Invoices are issued upon delivery of the order and are available in your email box. 6.2.4 – Once the Customer has validated its payment, MAISON BALUCHON will reserve all the selected products for a period of 8 days. After this period, if the payment has not yet reached MAISON BALUCHON, the products will be put back on sale and the Customer will lose the benefit of all the discounts it has used to make this purchase. 7.1 – For all our custom-made products, the right of withdrawal cannot apply, in accordance with the provisions of article L 121-20 of the French Consumer Code as amended by Order No. 2001-741 of 23 August 2001 which stipulates that the withdrawal period is seven (7) days, and withdrawal is excluded in particular (article 121-20.2 3rd paragraph) for contracts for the supply of goods clearly personalised or made to the specifications of the consumer, in particular for custom and non-standard measured items. Thus, no withdrawal period will be granted for custom items (specific reason, etc. ), all non-standard items and items with specific additions or modifications. 7.2 – For any other product offered on our website in the Collection section, the Customer has a period of seven (7) clear days from the receipt of the order to terminate the sales contract of the products concluded during the validation of the order (article 3). In the event that the products have already been delivered to the Customer, the Customer must return them to MAISON BALUCHON, without having to justify reasons or pay penalties, but must pay for the transport. 8.1. – The products comply with French legislation. 8.2 – MAISON BALUCHON shall not be liable in the event of a stock-out of fabric, delay of delivery, strike (including in transport) or force majeure and, more generally, for any event not exclusively and directly attributable to it. 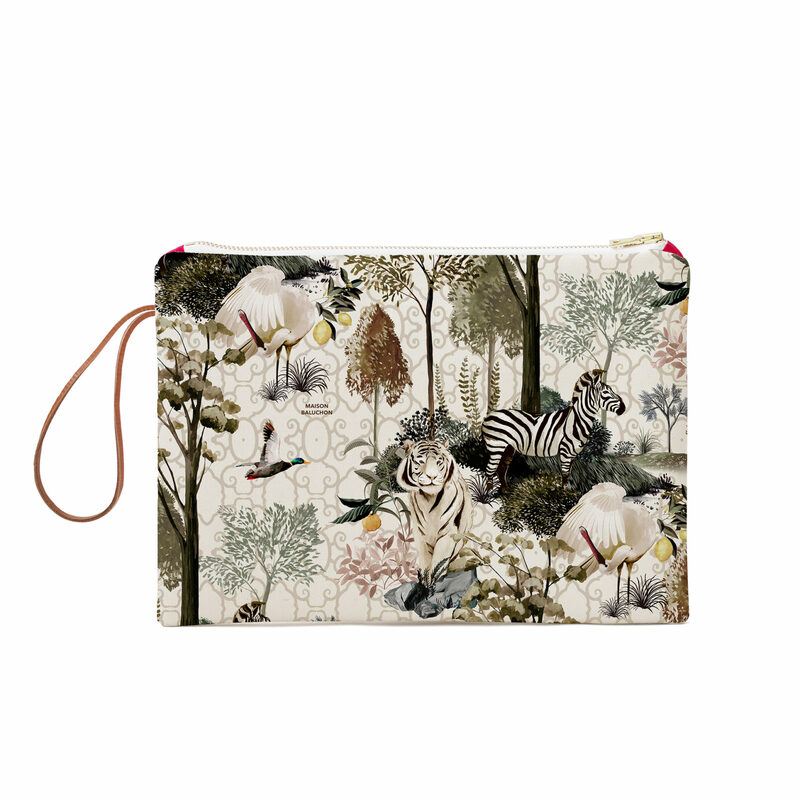 8.3 – Photographs illustrating the products on https://www.maisonbaluchon.fr are not contractual. 8.4 – The Customer accesses, uses and navigates the website of MAISON BALUCHON at his own risk. 8.5 – MAISON BALUCHON has, for all the steps of access to the website, the ordering process, delivery or subsequent services, only an obligation of means. MAISON BALUCHON shall not be liable for any inconvenience or damage inherent in the use of the Internet network, including a breakdown of service, an external intrusion, the presence of computer viruses, etc. Neither BALUCHON HOUSE nor the Customer shall be held liable for any non-performance which would have as its origin any fact qualified as force majeure, escaping its control, including, without limitation and in accordance with case law, cases of war, riot, insurrection, interruption of transport, import or export problems, strike, lockout, shortage, fire, earthquake, storm, flood, etc. 8.6 – The Customer acknowledges and accepts that, to the fullest extent permitted by the applicable regulations, MAISON BALUCHON may not be held liable for any direct, indirect, incidental damage, or for compensation for moral harm, costs, losses, decrease in turnover or profits, or liabilities of any kind (even if the realisation of such injury was known or could have been foreseen by https://www.maisonbaluchon.fr), which may arise from the use or on the contrary the impossibility to use the website or its content. 9.1 – Refunds of products under the assumptions referred to in Article 7 shall be made within 30 days as of the receipt of the products by MAISON BALUCHON. 9.2 – Refund will be made at the choice of BALUCHON HOUSE by credit on the customer’s bank account or by bank cheque addressed to the customer who placed the order and to the billing address. No shipment for refund will be accepted for any reason whatsoever. This contract is subject to French law. The language of this contract is French. In case of dispute with professionals and/or traders, the courts of Paris will be competent. 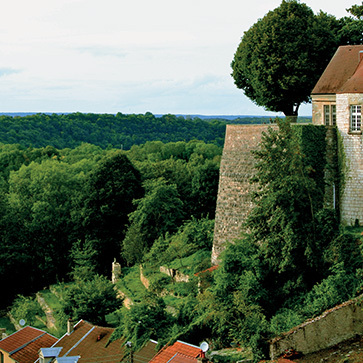 In the event of a dispute, the French courts will have sole jurisdiction. MAISON BALUCHON undertakes to protect the personal data communicated by the Customer. All personal data concerning the Customer collected by MAISON BALUCHON are treated with the strictest confidentiality, in accordance with the provisions of the personal data protection policy of MAISON BALUCHON. Maison Baluchon doesn’t keep the personal data entered on the website. No data will be saved, as the client doesn’t have to create an account to make a transaction. He/she will do so as a guest. Only data regarding shipping are saved, and only for the time it takes to ship the order. 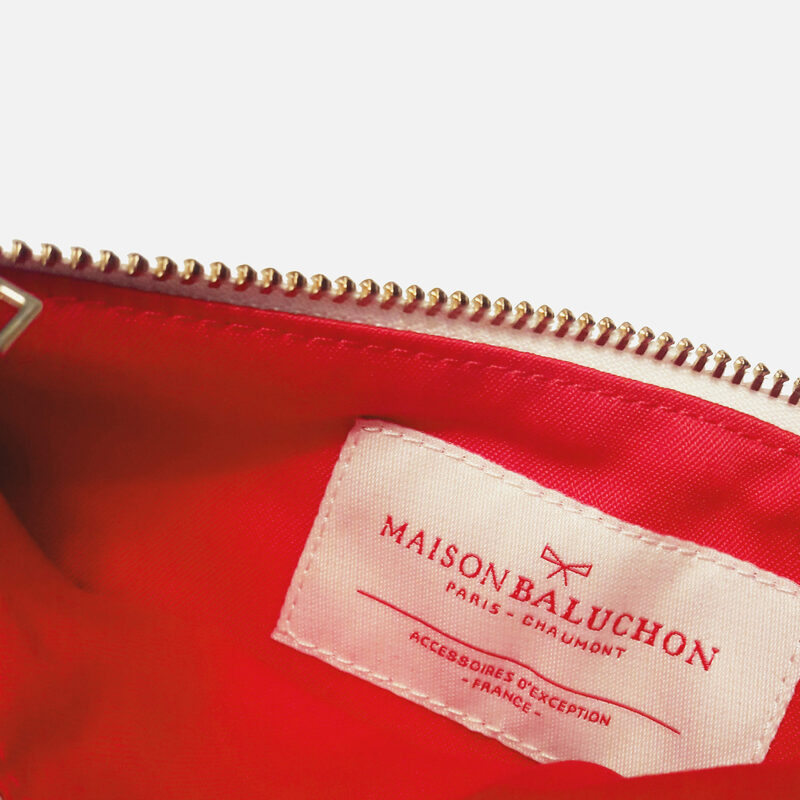 No password or username is required to make a purchase on the Maison Baluchon website.